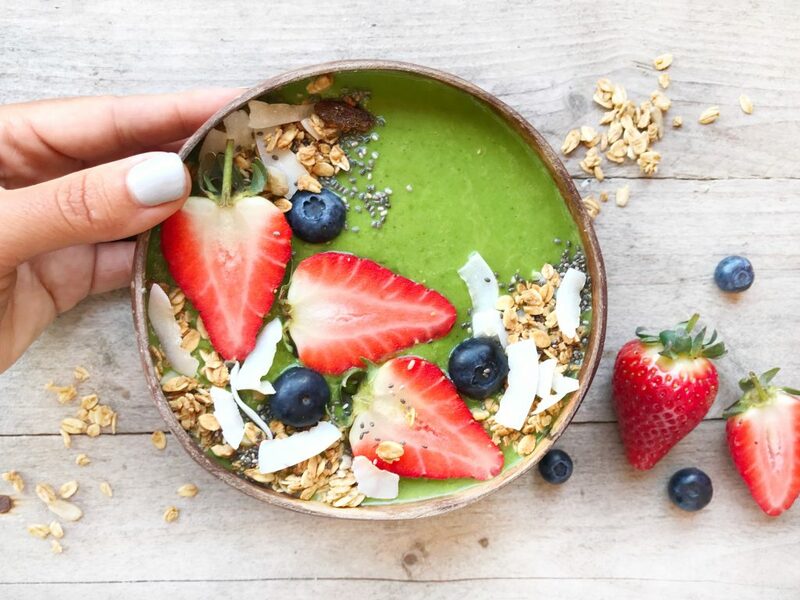 This tropical green smoothie bowl will make you feel amazing. It’s packed full of healthy, delicious ingredients that will transport you straight to a palm tree studded beach somewhere sunshiny. The blend of creamy coconut, vibrant tropical fruits, super powered spinach and zingy ginger is incredible. What really makes this smoothie bowl extra special is the combination of a sweet, creamy, frosty smoothie base with the richly textured crunchy and colourful array of toppings. I love the little kick of fresh ginger and the natural sweetness from the dates. Don’t limit yourself to eating this just for breakfast either, it makes a wonderful lunch or light dinner option too. Peel and roughly chop the fresh ginger. Blend all the smoothie ingredients until smooth. Pour the smoothie in to a bowl. Decorate with all the toppings. Take a picture because it looks so pretty! Eat your tropical green smoothie bowl with a spoon. 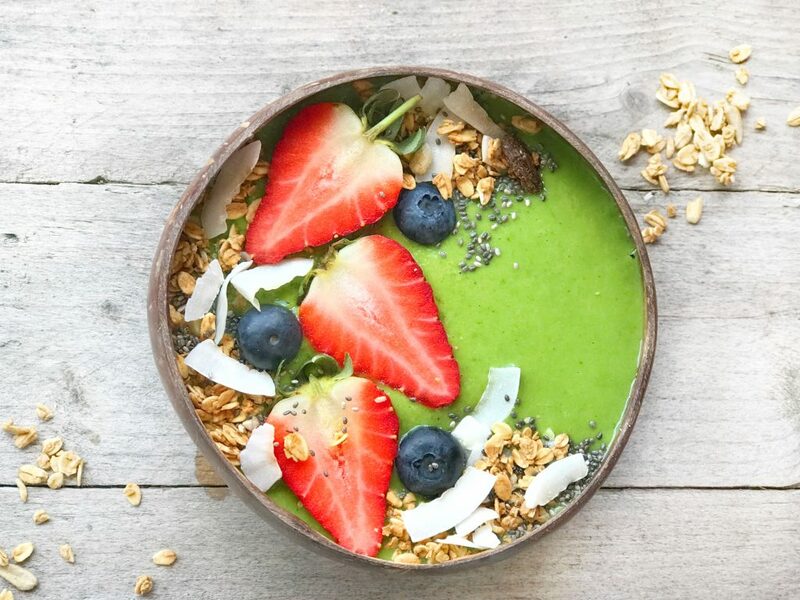 If you liked this tropical green smoothie bowl recipe click here to get weekly health and well being inspiration, online yoga classes, recipes and more delivered direct to your inbox!